Musical Theater productions are at the heart of the curriculum here at Triple 7 Dance. In additional to contributing to multiple Spring showcases, Triple 7 Dance students also study musical theater and stage production. Please see below for the our history on the stage. 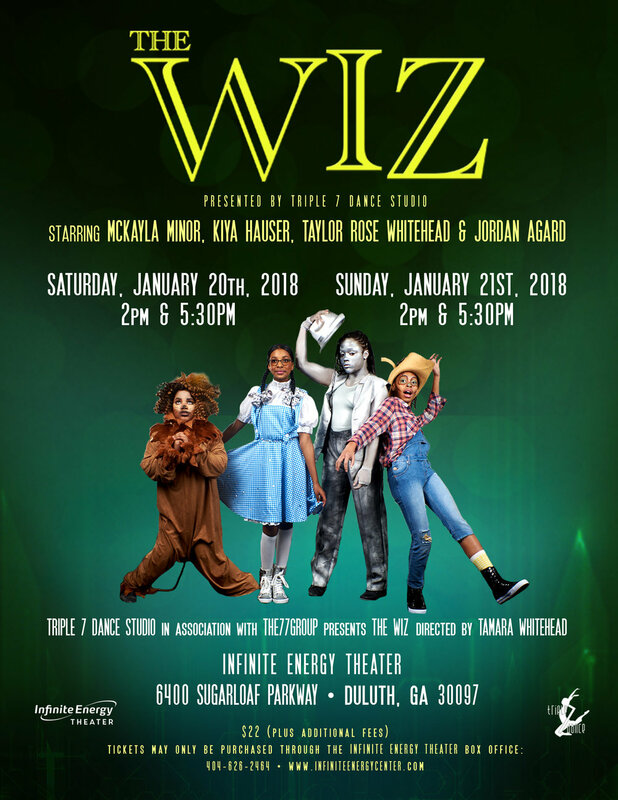 The Winter 2018 production of The Wiz featured over 200 dancers, singers and actors! This exciting production (our largest yet) SOLD OUT twice at the Infinite Energy Theater in Duluth, GA. The Wiz featured licensed music and script from the 1974 Broadway musical, the 1978 Universal Pictures/Motown Productions film, and NBC's 2015 live television version. 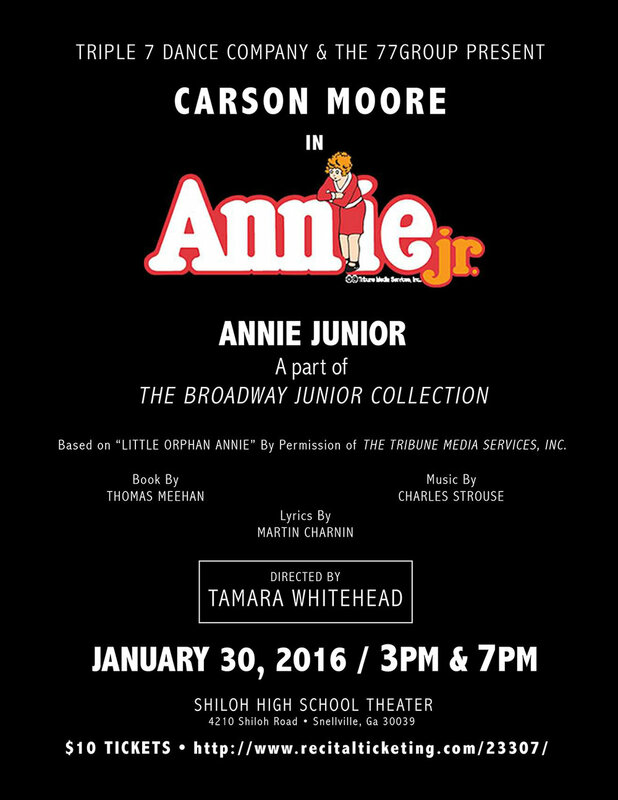 Triple 7 Dance Studio's production of Annie Jr. included a 20-person ensemble of actors, singers and dancers. Triple 7 students also manned the production crew, acting as stage hands and production assistants. Rhapsody: The Musical was an original production of live music, song and dance chronicling the African American experience, that began in the Fall of 2010 and extended through 2013. The play opened to SOLD OUT shows each season, finishing out its run as one of the last productions to play Atlanta's 14th Street Playhouse before the venue was sold to Savannah College of Art & Design. Rhapsody was also invited to tour Metro-Atlanta schools in 2011.